Carte de activitati si istoria artei, in limba engleza. From Van Gogh's famous flowers to Dali's timeless melting clocks, this book offers budding artists an exciting selection of masterpieces to re-create. You Can Paint Like the Masters touches on 7 great art movements and several famous artists throughout history to jumpstart curiosity about artistic style and technique. 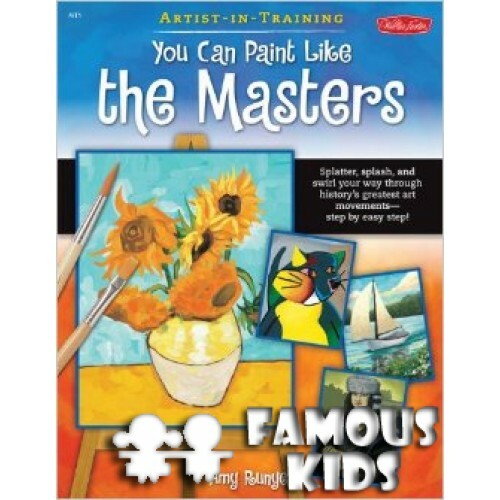 Easy step-by-step instructions and templates ensure success as kids experiment and develop their painting skills. 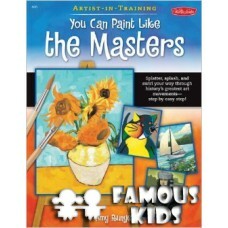 For extra inspiration, kids will discover fun facts about the Masters and the art movements along the way!